yes, they look so lovely all dressed up and marching about. Very disciplined parade, but they have no modern weapons to speak of. They will only be considered an army when they decide to no longer take orders from a bunch of lazy akhoonds. They are considered an Army because for a first time in a long time they defended Iran against the foreign invaders, namely Iraq and crazy Saddam and his Arab invaders successfully. If it was not because of them you would need to get a Visa from Baghdad to go to Ahwaz today! I don't think you know what Bread and Circus means! It was the former IIAF that kicked Saddam's teeth in.And it was Reza shah that stoped britain from forcing Iranians to go through Iraq to reach Ahvaz with one of their visas. Abie, you're wrong. I'm nearly old enough to have been there when the Coliseum opened. Let me tell my friend. Actually it was precisely because of the ruling Ayatollah regime that Iranians almost needed to get a Visa in order to visit Ahwaz today. The continuation of the war for another 6 years, leading to the destruction of Iran's military capability. Unable to prosecute the war in Iraq as well as not being able to defend Iranian territory anymore. 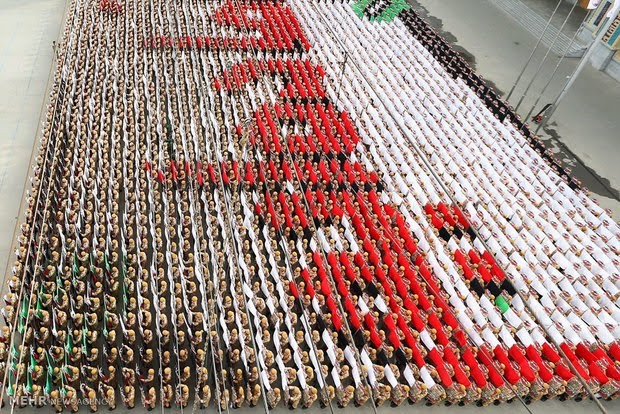 The Ayatollah regime put Iran at huge risk of being invaded a second time in 1988. It was as if by a miracle that the Baath leadership decided to not go any further after liberating Iraqi lands. The last attack from Iraq into Iran was launched by the Iranian dissident group, called the MEK. They were successfull initially, but didn't really stand a chance in the long run, because their army was too small. They were in no way comparable to the Iraqi military. In 1988 Iraq held a clear upperhand both on the ground and in the air. Care to explain then why you consider a Graduation ceremony for Military officers that is closed off to the general public as "bread and Circus"? 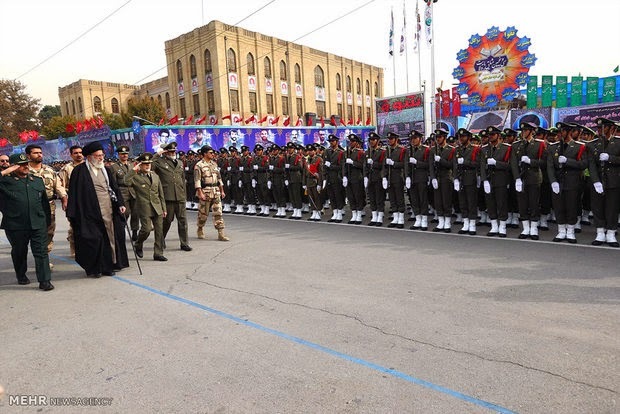 This is not your Shahs Army that deployed tanks on the streets of Tehran and shot Protestors. @ABOLFASR,the islamic theocratic regime doesn't need the conventional army to be deployed on the streets. Because of the islamic regime's fear of another uprising they created a special force called "Pasdaran" or now known as the IRGC and their basiji partners.These hired thugs which number in the thousands use all types of tactics to intimidate and suppress protesters with. The sad truth is that the regime's concerns for its own security far outstrips what the Shah ever done during his reign. Throwing stones in glass houses comes to mind. Thanks for proving my point. The Pictures above show the graduation ceremony for New officers who serve in the Army,Navy and Air force. None of them will ever be used to suppress political dissent..The Fact still remains that the Military used leathal force against Iranian protesters by your beloved Shah. Just so we are clear I am very grateful for the Islamic republic putting down that color coded "revolution". Have a wonderful day. I'm not being patriotic. I'm merely stating facts from an objective standpoint. Actually you are the one being patriotic for sure, by making such bombastic and absurd statements like "It would have been better for everyone if Iran had won". Iraq was calling for peace since the summer of 1982, defending itself since mid 1982 until April 1988. If Ayatollah Khomeini's reason for extending the war, was the issue of small areas of disputed territories which lay along the border, still under occupation by Iraqi troops, then why didn't Iranian troops re-take those areas? Surely, such operations couldn't have been more difficult to accomplish than the occupation of Al-Faw and other areas in Iraq? As a matter of fact, Iranian offensive operations were aimed at anything but those very disputed border territories. 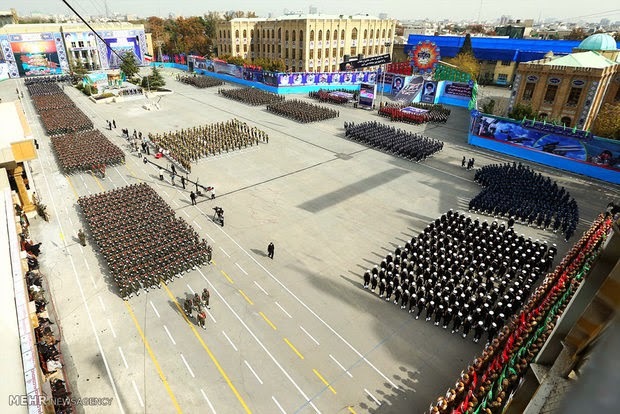 Anyways, the last year saw the complete destruction of the Iranian military. Surely, you are intelligent enough to recognize the tremendous risk the Ayatollahs took when they decided to conduct a war of aggression for the next 6 years which abruptly turned into a massive defeat. I could tell you first-hand because i was there. Iran then agreed to stop its attacks against Iraq, instead realizing that the had no other option except to negotiate the very same peace-terms which they had refused 6 years earlier. Had it not been for the Iraqi operations in 1988 then Iran would have continued the war infinitely. The Ayatollahs didn't have the slightest thought about a cease-fire. An outright victory for the extreme Ayatollahs would have been a catastrophy for the whole region and an entirely unrealistic one. Militarily speaking Iraq was absolutely in a position to launch a massive new invasion of Iran which probably would have seen many cities and towns in Khuzestan getting occupied since Iran wouldn't have been able to eject the enemy like it did in 1982, however, i am glad that it didn't happen. It would have been totally unfair to Iran as a nation-state. Yes, Iran had just enough troops and hardware to handle the MEK which numbered only 3000-5000. There is no way they would have been able to withstand the 4th largest military. You are right, we didn't try to take Iranian territory a second time, because we didn't have money to rebuild in Khuzestan. The point and the idea of gaining Iranian raw resources in Khuzestan had become meaningless after 8 years of war, and widespread destruction of infrastructure. These are my reflections for the sake of educational purposes This is the reality of the matter, my friend. https://www.youtube.com/watch?v=lTPdeSnG7Go --- Documentary of IRGCN direct confrontation with US navy in the Persian Gulf in 1980s. @ABOLFASR,no points given. You seem very glad that the islamic theocracy created a special army only for suppressing the Iranian population with. And besides the first prime minister of the IRI (Bazargan) mentioned the fact that "if the Shah had used real leathal force the revolution would have been crushed". Basically the reason why this anti-human regime came to power is because of the Shah's dithering. Thanks for proving my point as you proudly proclaim that you are very satisfied that this barbaric theocratic entity has slaughtered the Iranian population into temporary submission. It just confirms to me were the true loyalties of beloved islamic regime lies,and it certainly isn't Iran. Good day. the Iranian navy is a joke. it's capable of prevailing over Somali pirates and nothing more. Problem with people like anon 6:53 AM is that they believe their own press. They can't figure that a navy without large air support is a sitting duck. This documentary shows Irans ability insofar assymetric naval warfare is concerned, Iranian mine laying - and fast attack boats can effectively disrupt tanker traffic in the Persian Gulf and Straits of Hormuz. For those Iranis who have no faith in Iran's naval doctrine or are underestimating Iran's fighting capability at sea. Let me tell you, each US warship would be hard pressed to handle tens of highly maneuverable fast-attack craft coming at it, armed with devastating radar guided anti-ship missiles. US's achilles heel is their unwillingness to sustain casualties. Iranis on the other hand don't mind severe casualties wether it be weapons or manpower, as long as they have the ability to replace lost equipment either indigenously or through foreign purchases and as long as there is a steady rate of new recruits, they will keep coming. Iran would only need to sink or severly damage two or three US warships as well as get a couple of good hits, with the recently developed Anti-ship ballistic missile, on one US aircraft carrier, rendering it inoperable. US navy would retreat. We will have to agree to disagree on several points that each of us have raised. Naturally each one has his/her own reading of historical events. Anyways, thank you for your comments. https://www.youtube.com/watch?v=d2ookhCyOf4 --- Same documentary as above but with much better sound and picture.
" .... each US warship would be hard pressed to handle tens of highly maneuverable fast-attack craft coming at it,..."
but US warships don't have to individually handle those boats...... the ships aren't alone and US carrier groups have a dense aerial umbrella of combat aircraft....and those boats are going up in smoke soon after hitting the water, Brig.